Posted on April 11, 2013 by meghann gilligan and filed under Uncategorized. 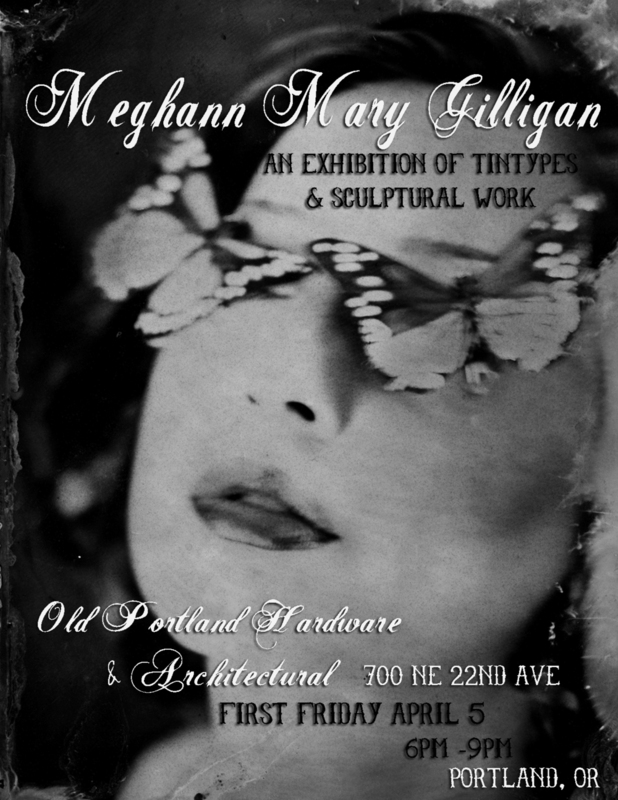 An exhibition of the tintypes that I have made over the past 3 years will be up at Old Portland Hardware & Architectural-- an amazing place filled with antiques and oddities-- through June. 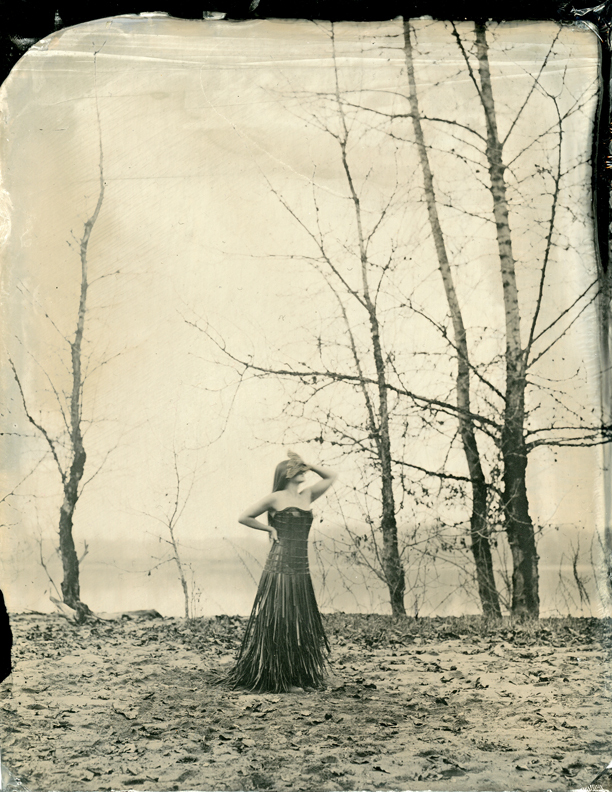 Posted on April 11, 2013 by meghann gilligan and filed under Uncategorized and tagged antiquarian antique art meghann mary gilligan portland photo month tin gypsy tintype. Posted on July 5, 2012 by meghann gilligan and filed under Uncategorized and tagged analog antique baby daughter lace love mother nature nurture photograph photographic process tin gypsy tintype tintypes travel vintage wet plate wet plate collodion. Between lots of travels, I have been hard at work making some new tintype images. Mostly the big & beautiful sort-- 8x10 tintype plates. The resolution on the large plates is really quite amazing and there is a wonderful depth to the images when you see the actual plates in person. The digital scans and uploads look pretty good, but there is definitely a little something lost in translation. You will have the chance to see these plates in person on July 27, when they will be on display at the wonderful visual arts center, Disjecta, in Portland, Oregon. Super exciting! Our collaboration over the last several months will come to fruition on July 27 at Disjecta visual arts center: Francesca's creations will be brought to life in a live 'fashion show' of sorts and my tintype plates will be on display. Here are some of the new images, which will be featured at the Disjecta exhibit. I am really pleased with the way that these images came together... dark and stormy, haunting and mysterious. Posted on June 29, 2012 by meghann gilligan and filed under Uncategorized and tagged arts cedar twigs portland oregon area travel. 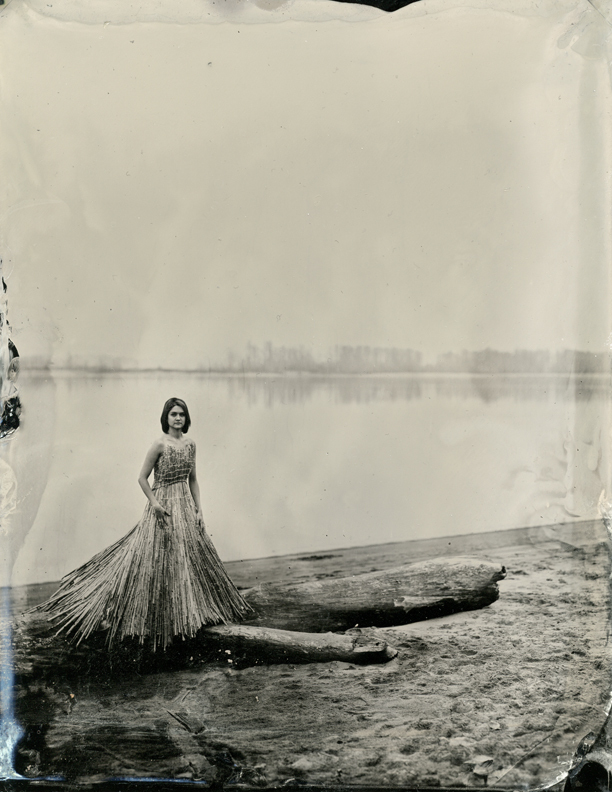 I traveled with the Tin Gypsy and a lovely group of artists and dancers to Sauvie Island to create some 8x10 Tintype plates as part of a ongoing collaboration with artist, Francesca Berrini. These ethereal images feature dresses painstakingly constructed over hundreds of hours out of materials foraged from the natural world by Francesca. Posted on February 6, 2012 by meghann gilligan and filed under Uncategorized and tagged ambrotype antique collodion film gypsy historical large format photo photography tin tin gypsy tin gypsy project tintype travel victorian wet plate collodion.